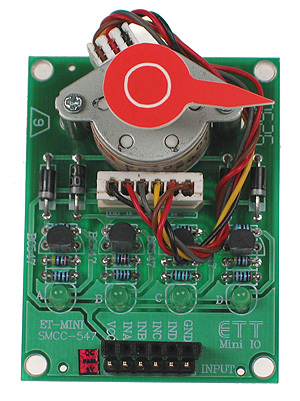 Learn how to control and run a stepper motor with our compact Stepper Motor Mini Board. The board incorporates a small stepper combined with a series of drive transistors to enable standard TTL control of the stepper motor. Our new Stepper Motor Mino Board comes complete with an easy to connect series of male and female connectors for the INA, INB, INC and IND signals for the stepper motor. Together with LED indication for each phase. 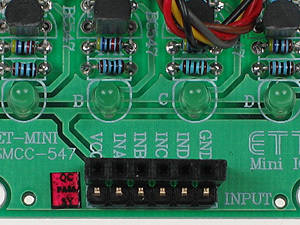 A clearly visible pointer is included to indicate stepper position. 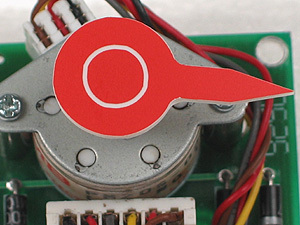 A high quality NMB stepper motor is mounted directly on the board. The Stepper Motor Mini Board is a great way to learn and develop code for controlling a stepper motor. The board easily connects to any of our development and control boards.